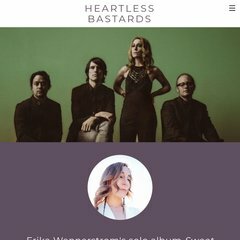 Theheartlessbastards is ranked 509,207 in the United States. Age: The domain is 14 years and 9 months old. 75 users visit the site each day, each viewing 1.80 pages. Its IP Number is 174.127.107.96. It is hosted by Hosting Services Inc (Utah, Providence,) using Apache web server. Its 2 nameservers are dns1.midphase.com, and dns2.midphase.com. PING (174.127.107.96) 56(84) bytes of data. Pinging the server, resulted in a 54.7 ms response.